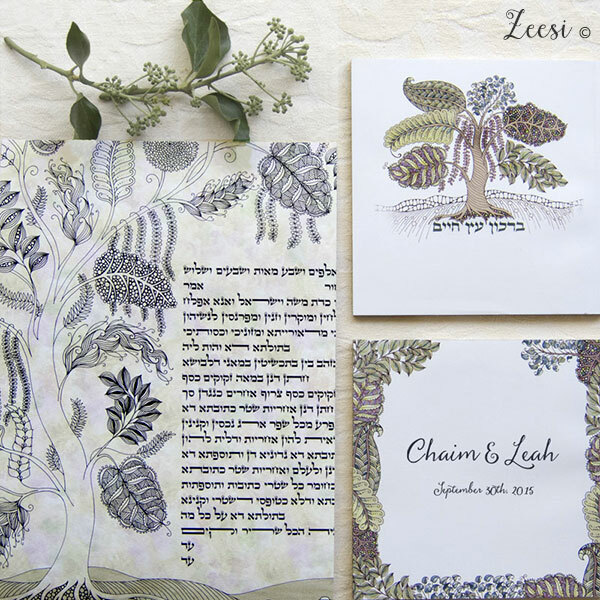 I create Custom Coordinated Ketubah, Invitation and Bencher Collections from my original paintings. 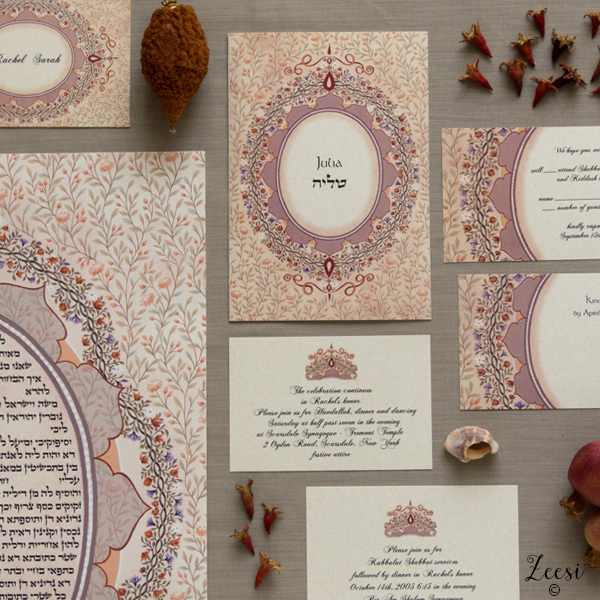 The result is an elegant personalized look through color, detail and pattern design which are my language. 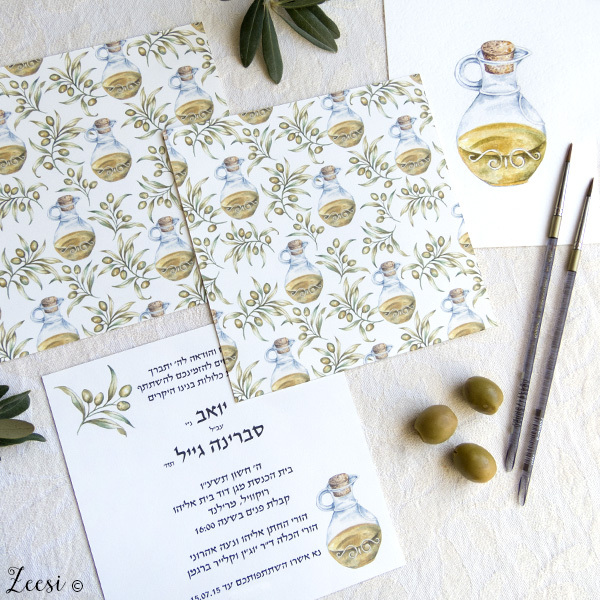 Inspired by the colors, textures, ancient stones, terraced slopes and native olive trees of Eretz Yisrael. The ketubot are individually printed and are all museum quality fine art giclee prints. The colors are brilliant and almost indistinguishable from the original paintings. 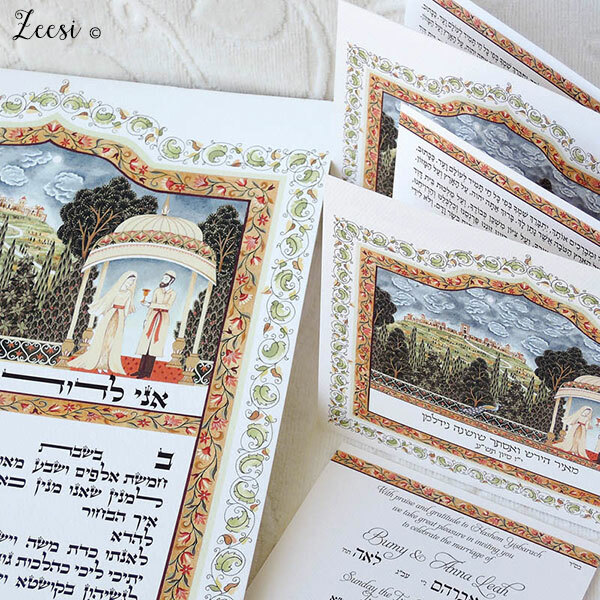 The text is always sent to your Rabbi who is performing the wedding for approval before printing. 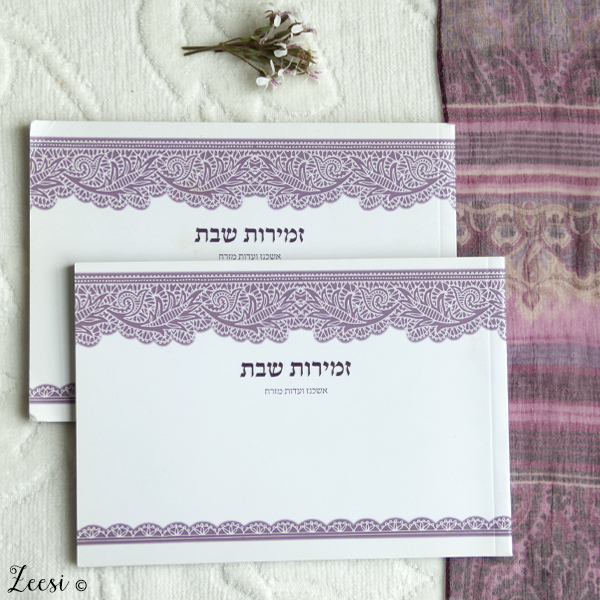 Custom coordinated invitations give a beautiful flair to your simcha. The reasonable cost of color digital printing allows a wide range of possibilities to enhance your event. Choose ready made designs from my website. 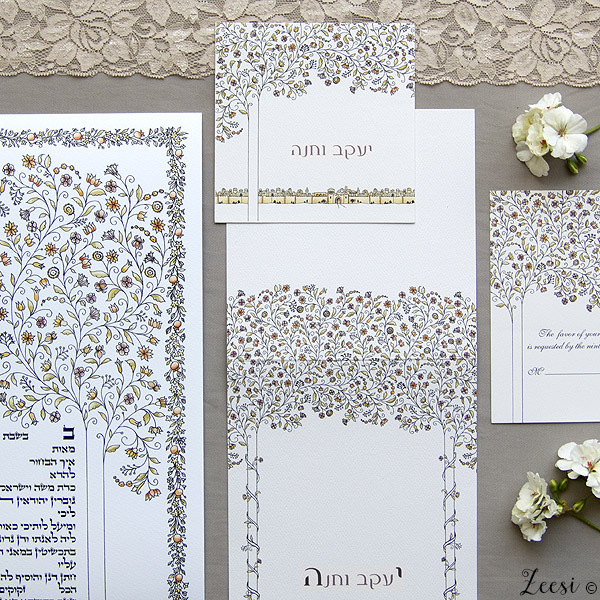 Or create a custom design from select design elements in the ketubah. Proofs are sent by mail before printing. If you wish, I am available for commissions of original works of art. Expressing my client's personal concepts is my passion. Delicate jewelry to match your gown can be found on my Etsy shop.